Basically it had two components: Gelatin and foam. Where the foam and gelatin came together made a third layer in the middle. 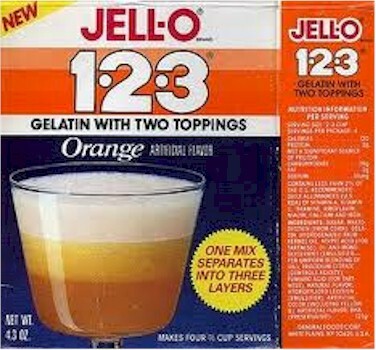 Anyone who had eaten Jello-123 knows that there is NO pudding in it.. I still have a box, it was my family's favorite dessert.. wish they would bring it back!